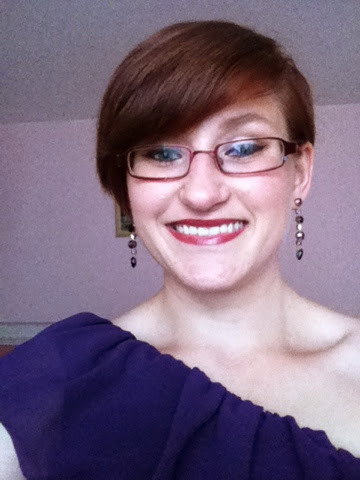 My Love For Makeup By Christina Curtin: Two weeks in pictures! Hey guys. I am not feeling the best and I really wanted to do a new post for you all. I have seen other bloggers do this 'week in pictures' posts so I have to try this. I think it would be best to explain a little under the picture what was happening on that day. These picture a little bit over a week. I hope you like this kind of a post. Let me know in the comments if I should do these again. Lets start!! 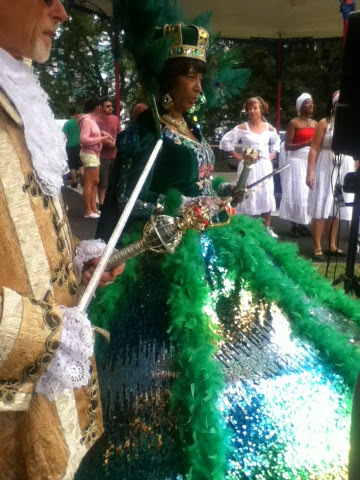 To start off last Sunday week we had some sort of a carnaval parade. 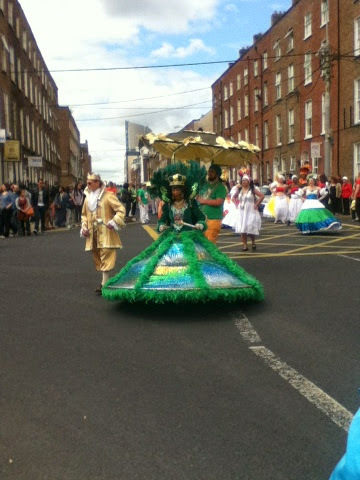 I missed the parade part of it. We had to get the bus and it was late as always when you have to get some where the bus will be late. 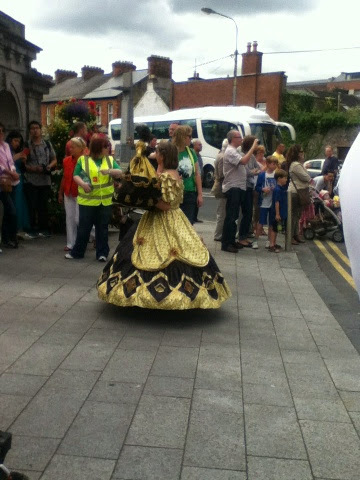 To be honest I really don't know what this parade was about. It wasn't as good as it said it would be on the paper. All them people matched down the street singning one song. I like their clothes though. 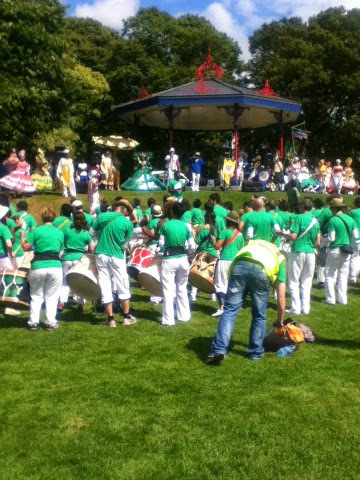 In the park a band of drummers played the same song for like 40 min and then it was over! There was so amusements for kids for face painting. I don't think that I would go to it again if it was on. 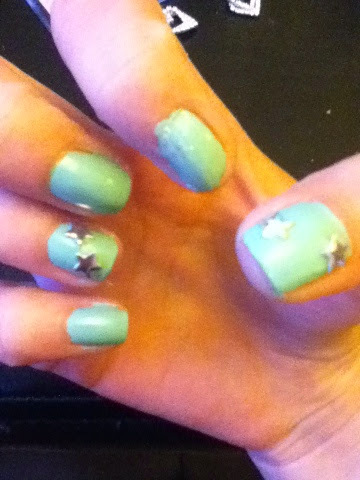 About a week ago a did my nails and I was really proud of myself that I took the step and put these beautiful stars. What I didn't know was that my boyfriend had planned bowling with some friends and when I was changing clothes all the stars fell off. I got advice from an other blogger to stick them with some nail glue. I will have to try that and hopefully it will work out better for me. I am trying to diet at the moment. Well trying to get healthy too. Currently I am very unfit. 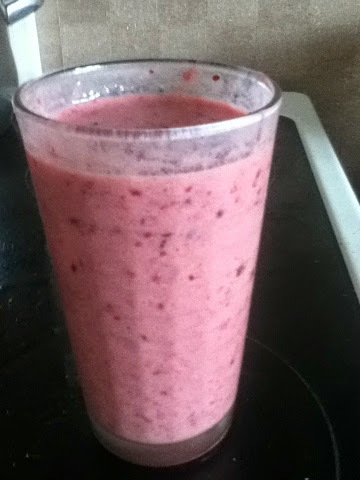 This is a forest berries and pineapple with a banana smoothy. It was quite tasty. I make one every morning for my breakfast! It's very easy to make and it's quite filling too. I was out in the town last Saturday night. I never get out so when I do I really enjoy myself. This is one selfie that I like. Last but not least I was at my parents house Wednesday and Thursday. Rhys really enjoyed himself and did not want to leave. He loves driving the tractor and having all that freedom at his hands. 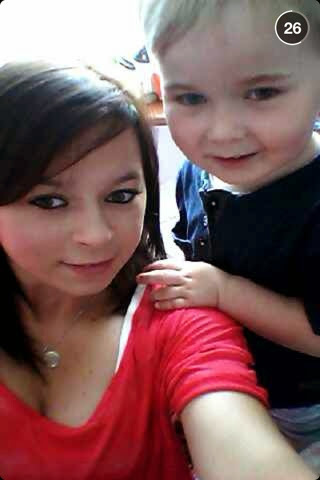 In this picture is my sister Katie and Rhys. To me they are like twins. What do you think? Well this is all for this week in pictures! I hope you like this post!